A pacy, fresh and surprising portrait of Japan and the Japanese - from David Pilling, award-winning writer and Asia Editor of theFinancial TimesDespite years of stagnation, Japan remains one of the worlds largest economies and a country which exerts a remarkable cultural fascination. David Pillings new book is an entertaining, deeply knowledgeable and surprising analysis of a group of islands which have shown great resilience, both in the face of financial distress and when confronted with the overwhelming disaster of the 2011 earthquake.The resulting tsunami, which killed some 19,000 people, and nuclear catastrophe highlighted both the deeply impressive practical resilience of ordinary Japanese and a political culture of extraordinary carelessness and arrogance. 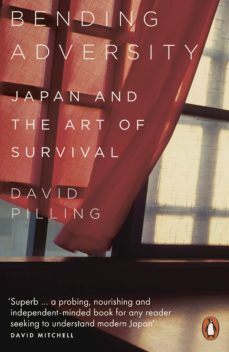 Pilling describes the emergency and its aftermath, but then writes far more broadly about many aspects of Japan which are little known to outsiders and which do so much to explain these contradictory responses to the earthquake. Bending Adversity is a superb work of reportage and the essential book even for those who already feel they know the country well.